These are great for giving your your FIDs when you want a few minutes of quiet! 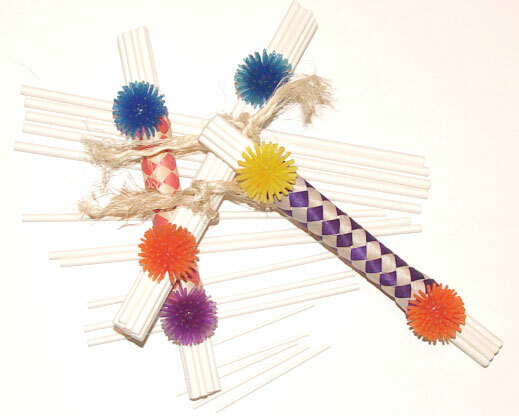 Compressed paper (human grade lollipop sticks) which is great for shredding and beak peeling fun! The smallest size is the perfect size to refill your ParroStix foot toy and the other sizes will work for making toys (a few examples shown above like the ParroStix Pair using ParroTraps, ParroRings and sisal) or just give as foot toys! They're great to keep handy for when the phone rings!